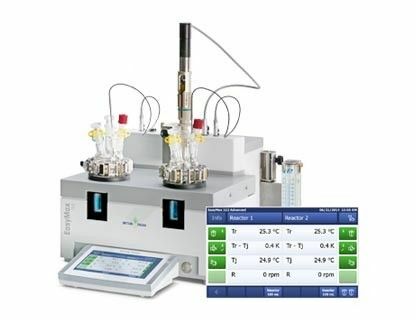 Automate and connect jacketed reactors and control thermostats, stirrers and pumps with one touchscreen interface. Intuitive chemical synthesis reactors replace round bottom flasks, jacketed glass reactors, ice baths, oil baths and chillers . The innovative heating and cooling technique precisely controls and maintains reaction temperature to avoid impurities and ensure a consistent process development. The lab reactor platforms are operated by a touchscreen, and record all data throughout the course of the experiment so researchers can make more informed decisions. The ability to run unattended 24/7 safely facilitates scientists to develop innovative chemistry faster. EasyMax 102 Basic and EasyMax 402 Basic chemical synthesis reactors allow chemists to discover new synthetic pathways and develop elegant chemistry by exploring reaction conditions from -40 °C to 180 °C without an ice bath, oil bath, heating mantle or cryostat. Reactions can be run from 1 mL to 400 mL, controlling reaction parameters such as temperature, dosing or pH accurately so optimal conditions can be quickly identified. 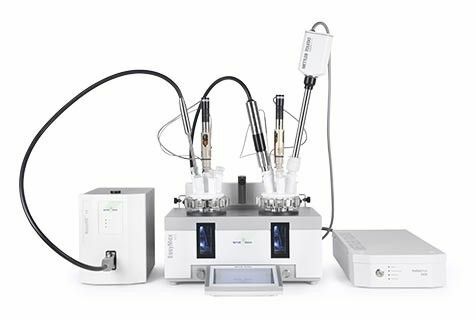 EasyMax 102 Advanced and EasyMax 402 Advanced chemical synthesis reactors help scientists quickly explore reaction parameters, even under difficult conditions. Simplification of the user interaction allows more successful experiments to be conducted and design of experiment studies (DoE) to be completed quickly. Non-scalable reaction parameters and optimal conditions can then be identified with confidence. Reactions can be run completely unattended, day or night, enabling scientists to synthesize new compounds, eliminate non-viable candidates early and safely optimize the reaction in less time. 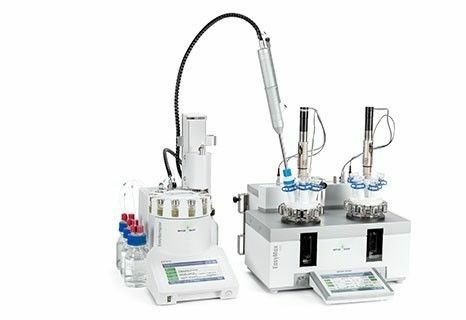 OptiMax lab reactor systems are designed to optimize process conditions in the liter scale and provide researchers with the ability to make informed and trusted decisions. The small footprint, powerful heating/cooling system, and ability to safely run reactions unattended, make OptiMax an ideal tool for process development. 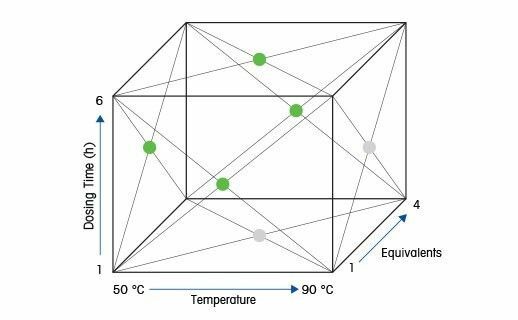 The optional upgrade to a Reaction Calorimeter delivers essential thermodynamic data helping researchers identify unsafe reaction conditions upon scale-up. 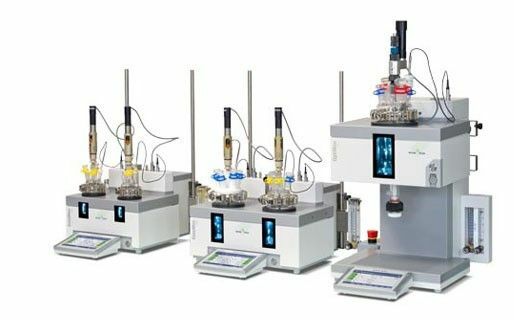 EasyMax and OptiMax chemical synthesis reactors integrate seamlessly with real-time in situ Process Analytical Technology (PAT) probes, such as EasySampler, ReactIR, ParticleTrack, or ParticleView. All data and events are captured and reports are created in one click. Because of comprehensive understanding of any process scale-up issues, scientists are able to deliver grams or kilograms of materials faster and safer. Below is a selection of publications about chemical synthesis reactors. Thomas, et al. "Scalable and Selective Preparation of 3, 3′, 5, 5′-Tetramethyl-2, 2′-biphenol." Organic Process Research & Development 21.1 (2016): 79-84. Buetti-Weekly, Michele T., et al. "Development of a safe and scalable process for the preparation of allyl glyoxalate." Organic Process Research & Development 22.1 (2017): 82-90. Discover how how researchers apply effective methods to develop new synthetic pathways and optimize critical process conditions. 4 case studies highlight how top pharmaceutical companies impact synthesis lab performance. Researchers can choose between different versions of EasyMax systems or upgrade existing syntheses reactors to bring expanded control and smart data management. Download a guide to help choose the right EasyMax model for your lab. Integrate EasyMax and OptiMax with EasySampler using an EasySampler Connectivity Kit. 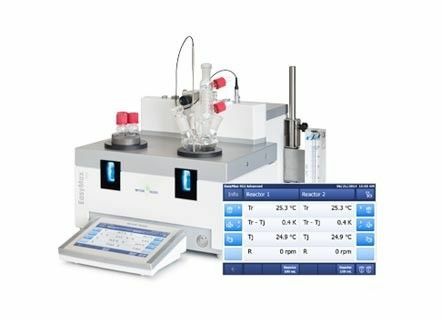 The unique EasySampler probe enables the capture and immediate quenching of reaction samples for a truly representative measurement of the reaction at the time of sampling. EasySampler sampling data is automatically transferred to, and reported with, the referring EasyMax or OptiMax, experiment. Chemists and engineers often apply reactor systems for applications, such as Design of Experiments (DoE) or to screen and analyze process parameters. 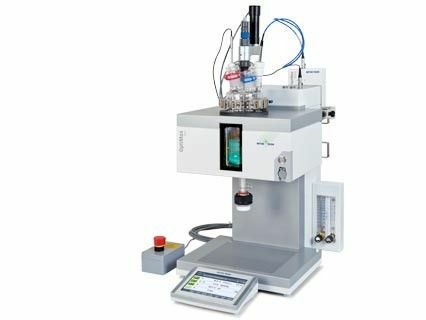 Mixing, dosing and pH control applications are examples of experiments which are quickly optimized with lab reactor systems. Applications include Organic Chemistry, Drug Conjugation, and Crystallization.